I'm participating in Lakeshore Runner's Tri-ed It Tuesday Link-up. Head over there to check out other great posts about new experiences! The cold weather, a somewhat lighter schedule, and the off-season (from triathlon training) made me want to try Hot Yoga either at the end of 2014 or at the beginning of 2015. For some, it is really the ultimate workout (an actual quote I heard at the office). The heat makes it easier to get deeper into the stretches, and you sweat more, releasing toxins from your body. I figured I'd be OK as long as I pre-hydrated and kept a water bottle nearby. 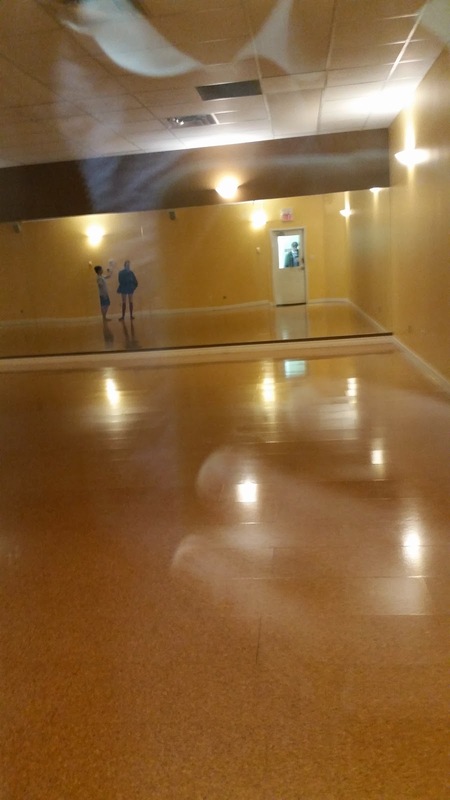 Infinite Yoga had a great introductory offer of $25 for a week's unlimited classes. I spoke to the director Karla, and she told me about the water they had available (no charge) to fill your bottle that is clean, but room temperature. She compared drinking ice cold water in hot yoga to throwing water on a cooking grease fire. I'm glad I listened, as the water felt cool when I drank it in class, and it was refreshing enough. Day 1: Evening of Tuesday January 13th - Started off in corpse pose, then moved forward with core warm-up (variations on leg raises) into a fairly standard Yoga flow. Lots of downward dog. Day 2: Noon of Thursday January 15th - More challenging. My shoulder was bothering me, and the instructor did well to get us to engage our lats on many poses as well as stretch the shoulders out with eagle arms in various pose variations. The instructor was very hands on and had great ways to make me aware of which muscles could and should be engaged on all the movements. I struggle to keep my palms upward when lying in corpse pose - it doesn't feel comfortable - but she managed some kind of adjustment that made it so much easier? Who’d have thought that I can’t do “lying down like a dead body” properly. Still, the discomfort of the heat made it difficult to find the peace and stillness that you want at the meditative part of the end of the lesson. (Wore a Hoorag as a headband for the first half). Day 3: Noon of Friday January 16th. I struggled with side planks and had to keep a knee on the ground. I use the blocks a lot and generally adopt the easiest, most beginner friendly pose variations just to get by. Day 4: Noon of Monday January 19th. Warrior II pose into a side bend. Many, many Vinyasas (plank to upward dog or cobra, back to downward facing dog), even as a rest/restoration pose. Shoulders felt very sore, even during simple things like the Warrior II pose. My legs seemed to hold up better in poses like chair, and the Warrior poses when I’d load my weight onto the front leg, which is odd considering they were tired from cross-country skiing and running on the weekend. New Poses like the inverted (downward) dog, which were unfamiliar and I needed to get used to. Old poses that I had to enter from new positions/angles/situations e.g. Dancers pose starting from being bent over rather than standing. Heat effects on the ability to hold a pose (a question of muscular endurance, or mental endurance?) and breathing. I needed blocks on poses I didn't think I would. I couldn't hold poses as long as I expected, and my shoulders or hamstrings would start to quiver well before I thought they should. 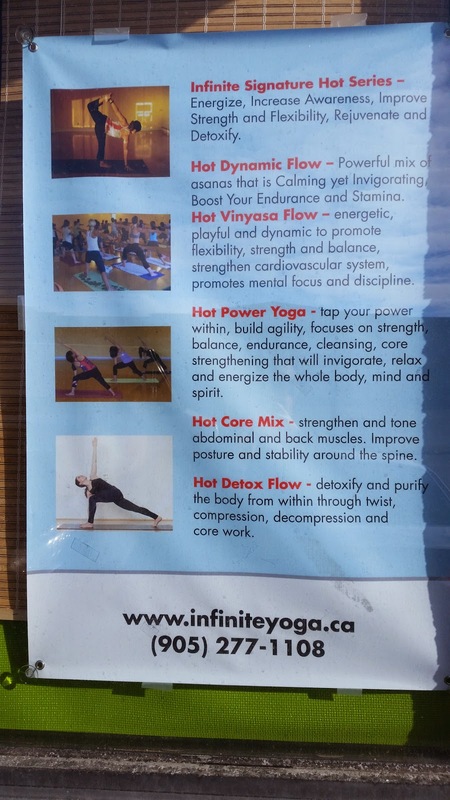 That last one sums up Hot Yoga for me. If you went running with a 40 pound backpack on your back, you would burn more calories and get stronger as a runner for the same time spent running, no question. The problem isn't just that it would be uncomfortable, it's also that it would be frustrating to not be able to run as fast or as far, due to the fact that you've purposely made it harder for yourself. I found every session to be a struggle, and I guess I figured it would get easier. I have to admit not needing blocks on the last day might have been a good sign. Though it was humbling to have to practice Yoga at a level lower than I would expect for myself given prior experience, Yoga is forgiving that way - it isn't competitive, and it makes it easy to accept whatever circumstances you happen to be in on a given day. I do think that I put some good strength work into my shoulders and legs that should help them stay injury proof and help with endurance and stability. Fitting Yoga into a triathlon training schedule is advisable, but difficult; at least Hot Yoga gives you the best bang for your buck in terms of time (and sweat!) spent. I took this picture in stealth mode, I figured photograpy might be frowned upon. 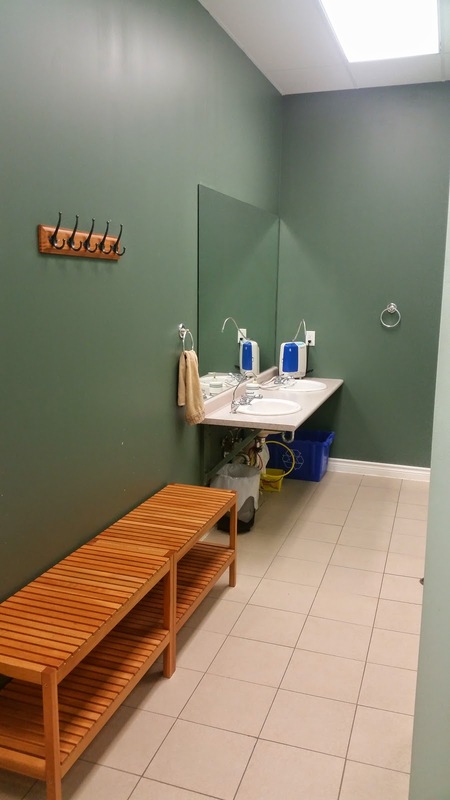 Infinite Yoga is a simple and clean facility. 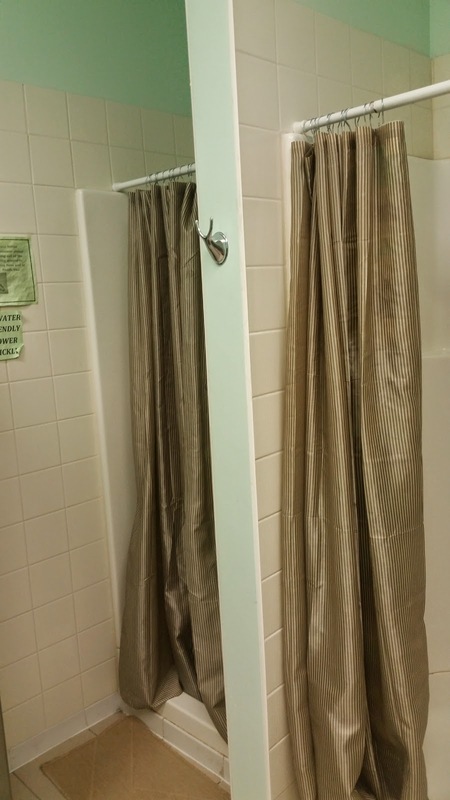 Nothing too fancy in the change-rooms (lockers would have been nice), though there are showers and a filtration machine on the water tap. The hot room is large and spacious with adjustable lighting, so they can dim for the meditative beginning and ending to each session. The lobby has a warm, welcoming atmosphere that gets you in the right mood for yoga.